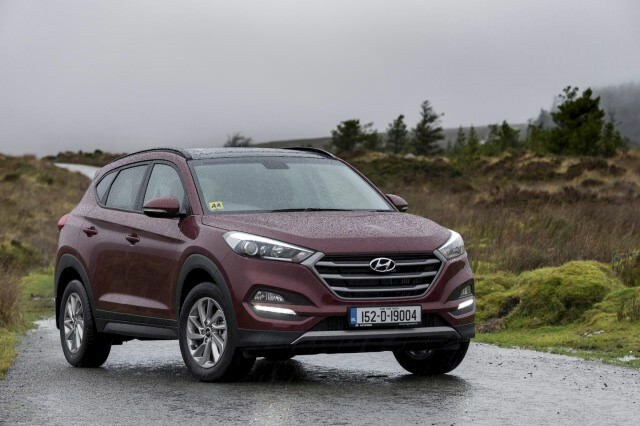 The 2015 Hyundai Tucson has gone on to be one of the best-selling cars in Ireland. Makes sense second hand too. We're told that Hyundai Ireland, quite contented with the sales success of its Nissan Qashqai-rivalling ix35, was a bit miffed when HQ in Korea decided to change the name of its replacement to Tucson. That badge was applied to an earlier compact Hyundai SUV, which had a good reputation for ruggedness, but not quite the family-friendly comfort and quality the company now hopes to portray. It needn't have worried, as the Tucson Mk II's arrival was perfectly timed for the start of the 2016 new car sales year (the '161' plate) and Hyundai's dealers had loads of stock ready to go. It went on to blow all other cars out of the water that year to top the new car sales league, the first time ever for Hyundai in Ireland. The timing of the Tucson's launch was only a small part of the equation, though, as the Tucson is also a spacious, attractive and well-equipped compact SUV, competing in a segment that's highly popular right now. Reflecting the lack of demand for petrol SUVs in Ireland, there was only ever a single petrol version of this Tucson offered, in the entry-level Comfort specification with front-wheel drive. If you search really hard you might find a few of these in the classifieds, and it'll suit those who don't wander beyond urban limits often, but it's not the Tucson at its best. Actually, our favourite version of the Tucson comes with four-wheel drive and a 2.0-litre CRDi diesel engine, but that's pretty much the most expensive version made, so it's just as rare as the petrol variant. It's a shame that four-wheel drive and/or an automatic transmission aren't available in conjunction with the best-selling engine in the line-up, the 1.7-litre diesel, but that's probably due to lack of demand again, as most buyers don't expect their crossovers to go very far off-road and would rather keep emissions levels (and hence annual motor tax) down. So, for maximum choice, go for the 1.7-litre diesel and then choose based on mileage and condition. The Comfort and Comfort Plus specifications are generously appointed by any measure, but the Tucson feels even more special when in Executive or Premium specs, as they include such niceties as leather upholstery and a panoramic roof. With our sensible hats on, we'd have to recommend a mid-2016 Tucson Comfort Plus, powered by the 1.7-litre CRDi diesel engine. Equipment should include climate control (with vents in the rear), 17-inch alloy wheels, Bluetooth, cruise control, rear parking sensors and much more. While there are plenty of examples of nearly new Hyundai Tucsons on the market, the vast majority are powered by a 1.7-litre CRDi diesel engine and they're mostly front-wheel drive. So long as that suits your needs then you'll find the Tucson to be an attractive, spacious and well-equipped compact SUV option.